Today celebrates my first month with vim. It also marks the first time I did a custom configuration on my .vimrc. When I said ‘custom’ it means that it was not just some snippet I found from the internet, it was an actual, personal configuration that made ‘vim’ my own flavor of ‘vim’. This, I think, is the point when someone can say they have graduated from vim noob, to vim user. Just a couple of months ago I made the switch from Windows to OSX, biting the bullet and buying myself a 13” rMBP. I’ve come to enjoy the transition thus far, finally having the versatility of UNIX on my machine. I was intimidated at first. 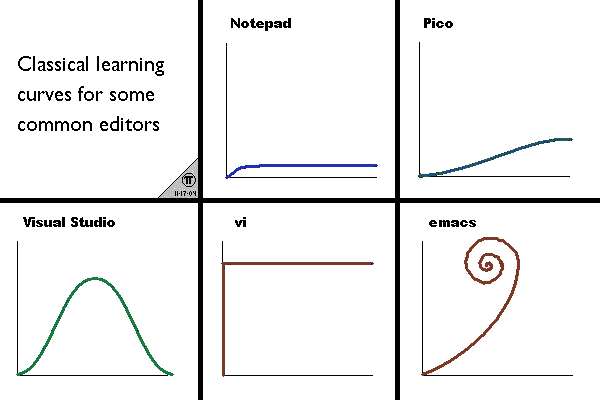 Vim is well known to have a pretty brutal learning curve, and I had contracts whose deadlines won’t extend to account for me learning a new editor. This was a potential show-stopper right from the get go. My vim story started by me using vim just like how I would use any other editor. My first day was spent scrolling around and clicking on things, all to no avail (I was running on a terminal, and vim doesn’t support mouse events by default). I pretty much never touched normal mode at all, spending most of my time in insert mode and moving along with the arrow keys. Searching for a string in my project involved a (rather pathethic) workflow of having sublime text running in the background, where I could quickly use ‘find in files’ in the familiar GUI. After a few days, I switched from using cursor keys to hjkl keys, and I learned how to use :edit to switch files without closing and reoping vim all the time. Eventually I installed my first ever plugin, NERDTree which added the much needed file navigation system. You see, I made it a point to progressively learn vim, and that involved grabbing packages and learning things only when I found that I ‘needed’ them. Vim had an admittedly steep learning curve, but I don’t really think it is as hard as a lot of people claim it to be, as long as you take it in incrementally. I found it only a little bit harder to use than a ‘dumb editor’, it’s more complicated features hidden around esoteric commands, waiting for you to discover them. Eventually, as I got more comfortable with vim, I went on adding more features that I needed through plugins one by one. As a slave to aesthetics, the second plugin (which is really a theme) that I added is the Solarized theme. This also made me switch to iTerm, which, apart from supporting 256 colors, also had an excellent show/hide feature that can be keybound. This, with iTerm’s (also keybind-able) fullscreen feature gave me an unparalleled productivity boost. YouCompleteMe provided some much needed auto complete. Fugitive was used for Git, and I finally learned how to use Ack to search for things. Linters? Syntastic. Code expand? Emmet. Et cetera, et cetera. I found my slow growth of skill in vim incredibly exciting. Eventually, I found myself more productive than my previous Atom/Sublime using self. I can definitely see it as one of the best investments I ever made.